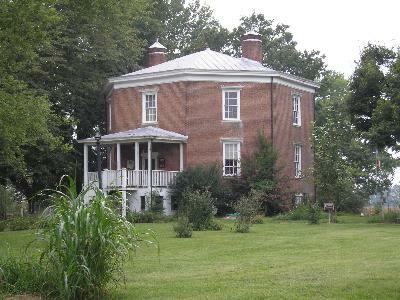 The Octagon house in Franklin, KY was featured on the show "Americas Most Haunted Places." It was once a hiding place where injured soliders in the Confederate Army would stay. The house was used throughout the years as a hospital for soliders. It was later sold to another family. It is said that a little girl was burned and died from the fireplace. People say the little girl and confederate soliders haunt the house.There has also been said that a woman dressed in black can be seen walking around the house. People who have vistied the house say they hear and see people that may have once lived there. There are ghost hunts at the Octagon House and tours for people. I have never been inside the house but I can tell you it is just as scary looking as it sounds. I hope you will post this on your website for viewers. Thank you for your time.